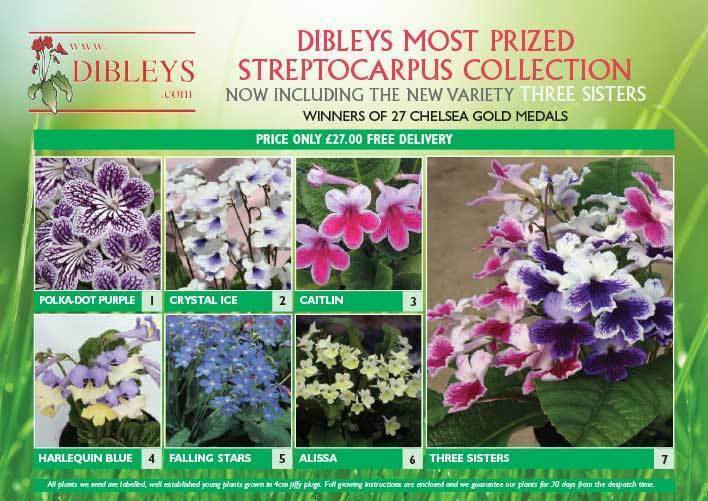 A wonderful collection of streptocarpus plants - order now! All plants we send are labelled, well established young plants grown in 4cm jiffy plugs. Full growing instructions are enclosed and we guarantee our plants for 30 days from the despatch time.